Picasso’s ink drawing, dating from when he was only 20, contains several of the fundamental themes of art. 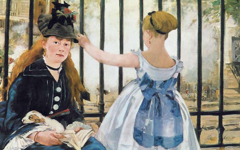 Somehow, probably by looking at other art, he had already seen elsewhere what art historians never have: that all true art is about the creation of art. 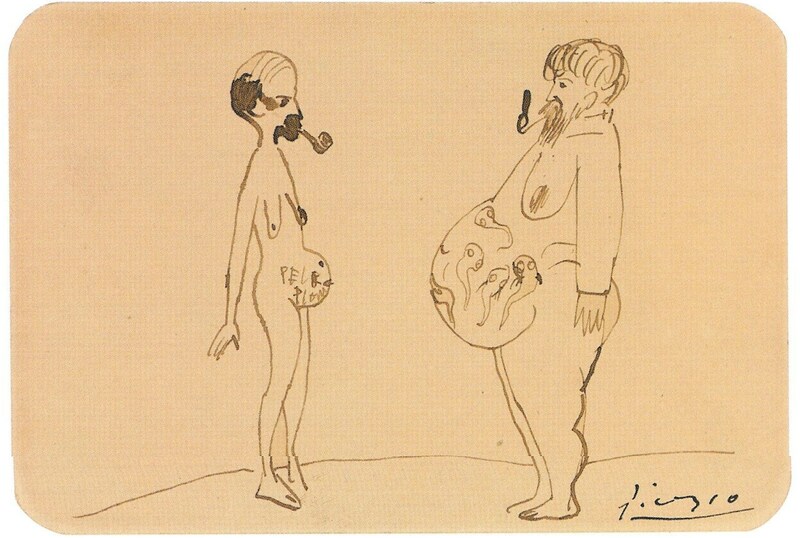 Here, on the surface, is an image that makes no sense – two men facing each other, both smoking pipes, are pregnant with breasts. 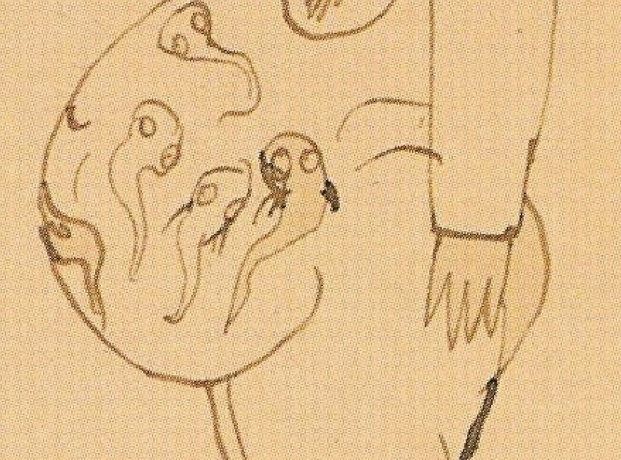 One has amoeba-like creatures in or on his belly; the other has Picasso’s name scribbled on it, probably combined with the name of the friend he portrays. It is obviously not a scene copied from nature, so what is it? 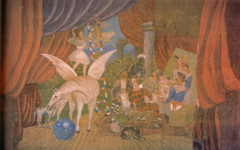 - The two men, perhaps poets or artists themselves (many of Picasso’s friends were) are depicted pregnant to suggest Picasso’s fertile ability to conceive new images. - The amoeba-like forms symbolise visual forms which will in the mind (or “womb”) of the artist transform into images. - Both men smoke, symbolizing the act of imagination involved in creating art. - In a visual pun, Picasso has made the smoke from one of the pipes (left) resemble exactly what it is: a splodge of ink. This ink will in Picasso’s hands mutate like the forms in smoke itself into an image. - There is, though, a double pun because the form of the pipe-bowl and the smoke, leaning at a slight angle to the right, imitates the P of Picasso’s signature underneath (right), leaving us in no doubt that this is a self-representation of Picasso. - The hand of the man at right is drawn without any attempt to make it realistic. It looks childish but Picasso, in forming the fingers into the shape of the pointed nib of his own pen, makes clear that the artist’s hand and his tool are one. 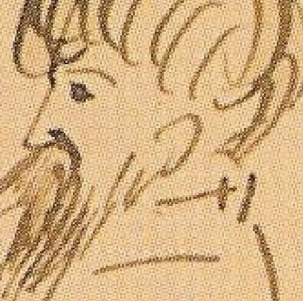 - Just below the neck of the man at right there is a horizontal cross, two lines clearly drawn to resemble a cross because there is no reason for the lines to be there otherwise. They indicate that even in an atheist like Picasso the mind of the artist is considered divine. - The figures are androgynous because as so many great artists, writers and mystics know, the true soul inside each of us is male and female combined. - That explains why the two men represent one: there are two sides to everything and the great master, like the individual seeking union with the divine, must unite the opposites in all. You will see elsewhere that many great masters represent themselves standing next to another artist to indicate this truth. 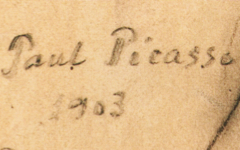 Picasso, even at twenty, would have seen it all over past art. When you discover what is underneath Picasso's early Blue Period paintings, the meaning changes...drastically. Original Publication Date on EPPH: 17 Jun 2010. © Simon Abrahams. Articles on this site are the copyright of Simon Abrahams. To use copyrighted material in print or other media for purposes beyond 'fair use', you must obtain permission from the copyright owner. Websites may link to this page without permission (please do) but may not reproduce the material on their own site without crediting Simon Abrahams and EPPH.